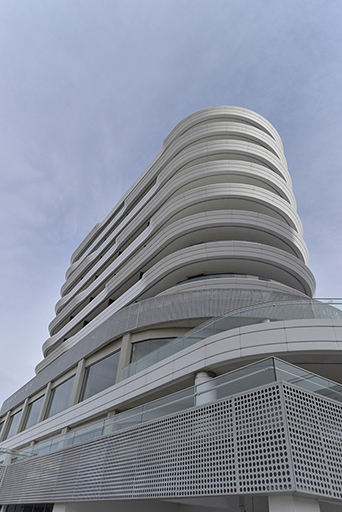 Real Merter is a mixed-use building complex designed by TAGO Architects in Istanbul, Turkey. This project merges the residential areas with commercial life by utilizing a unique design concept that brings comfort to the neighborhood with public areas integrated with green spaces. 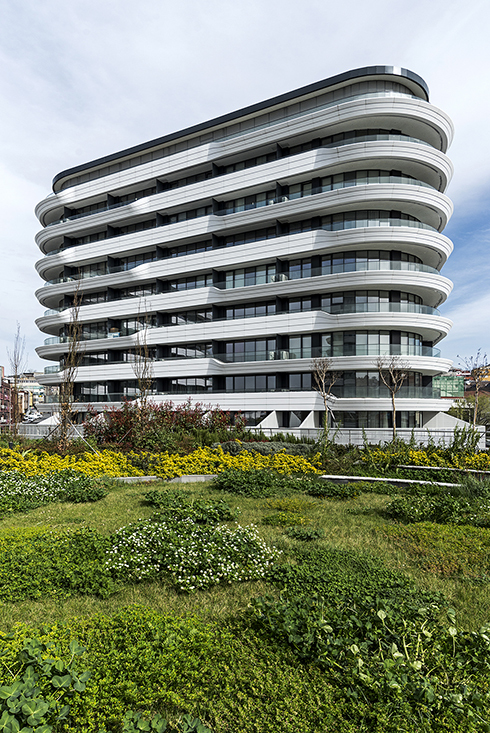 The green roofs and small squares can be found between the commercial fronts of the building complexes, linking one another in a successful and stylish manner. 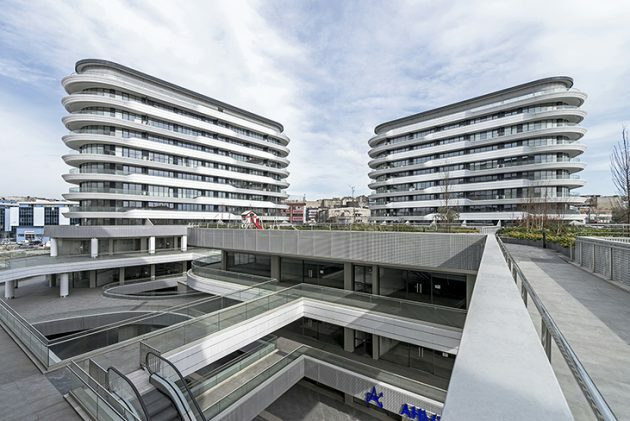 Real Merter which is a mixed-use building complex designed by Tago Architects led by Architect Gökhan Aktan Altuğ and located in Istanbul Merter, which is the center of the commercial life is synthesizing the lively commercial life at the street level and the three blocks of residences within itself with an architectural style not turning its back on its surroundings. Thanks to the shadowing elements applied on the facade of the building, the green roofs and the small squares created between the commercial fronts and the masses, the interpenetrating building complexes are linked with one another with a successful design. 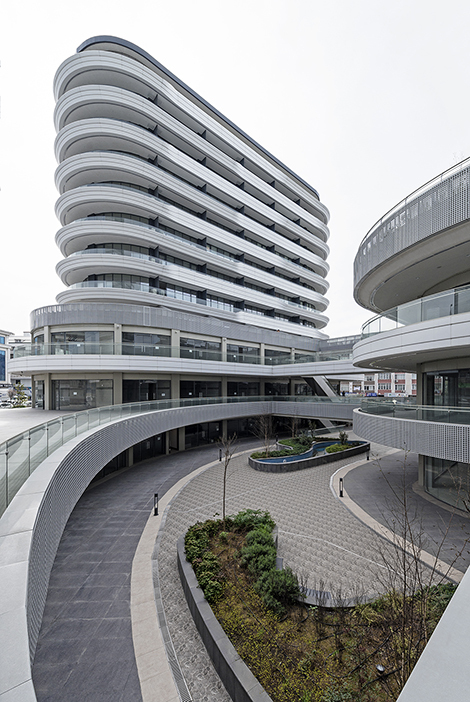 Despite the elevation difference between the avenues surrounding the project area at three sides, the small squares realized in the Real Merter project allow the foot traffic in and the vertical connections between semi-open strolling areas make uninterrupted circulation possible; thus a building integrated with the city has been constructed. The vivid life in the lower elevations where the commercial areas are located is feeding the residences at the upper floors but the privacy and peace preferred for the residential areas has been taken up delicately by Tago Architects as a challenge of a project with combined usage. 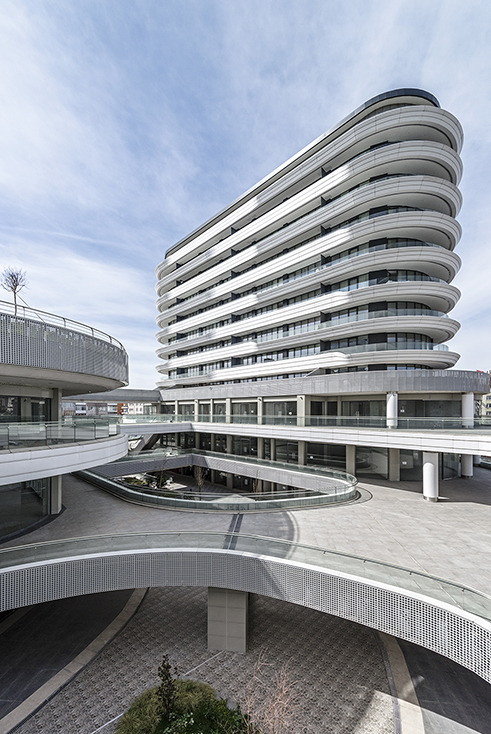 The greens and the circulation areas required by the residential areas have been located at the roofs of the commercial areas and this way the commercial and the residential areas have been separated. There are shade and light games at the facades of the residence blocks with the grc material used in the parapets continuously changing form and this way the facade design is far from monotony. The parapet is breaking at different points at each floor; this way when the light hits on the building the facade seems as if it is in different colors with light and shade. 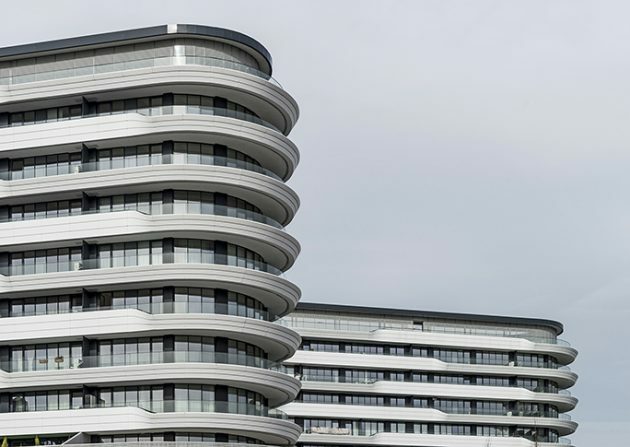 This difference created in the facade creates a dynamic effect in the design. Tago Architects was founded in 1995 with Gökhan Aktan Altuğ and Tatsuya Yamamoto as the partners. 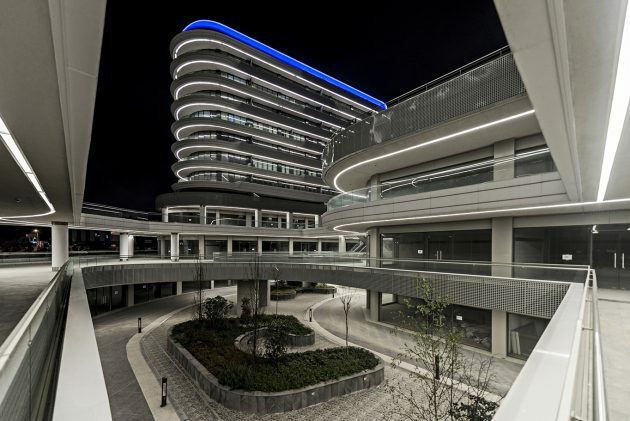 The office made a name with the unique architectural designs it has made in Turkey and in different countries and is merging today’s needs with a universal notion for design and comfort values. Tago Architects has realized more than 700 projects in architecture and interior architecture since its foundation in different scales and types and undersigned very significant works and received many awards. It is an innovative company regarding programs and techniques it uses and it stands out with its designs which are conscious regarding the costs and uses of resources. Tago Architects synthesizes many pieces of data such as the structural requirements and the content of the project and the employer demands and combines this synthesis with everlasting solutions never loosing validity and thus produces high quality architectural products. Tago Architects is serving with its European, Middle East and Dubai offices besides the central office in Istanbul since 2007 with its experiences in the fields of architecture, consultancy and sustainable architecture.